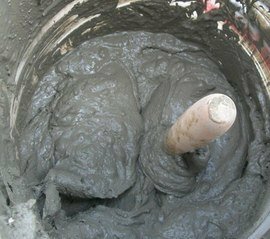 Mortar mix types are categorized according to compressive strength, flexibility, and bonding properties. Mortar mixes made without Portland cement are used solely in the repair of old buildings. Type N mortar is the most commonly used for general purposes and is of medium strength.